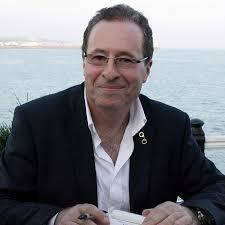 We are delighted that best-selling thriller writer Peter James is once again coming to Steyning, celebrating the release of ‘Need You Dead’, the thirteenth novel in his hugely popular ‘Roy Grace’ series. 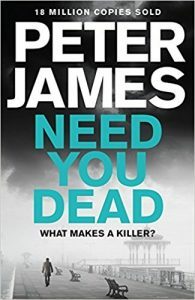 In ‘Need You Dead’ D.I Inspector Roy Grace faces his most mysterious case yet, when he is called to investigate the body of a woman found in a bath in Brighton. Unfortunately for Grace, what initially appears to be an easy, open-and-shut case soon becomes a labyrinth of sinister possibilities…. Peter is always an immensely entertaining speaker and we can’t wait to hear the grisly details and amusing anecdotes behind his latest work! Ticket price of £15 INCLUDES a hardback copy of ‘Need You Dead’. Drinks will be on sale from a licensed bar before and after the event. Doors open at 7 pm, talk starts at 7.30 pm. We will have the full range of Peter’s other books on sale, and Peter is always happy to sign books at the end of the event.